Oh Boy..the first Monday of October!! That means a very special edition of Market Monday!! 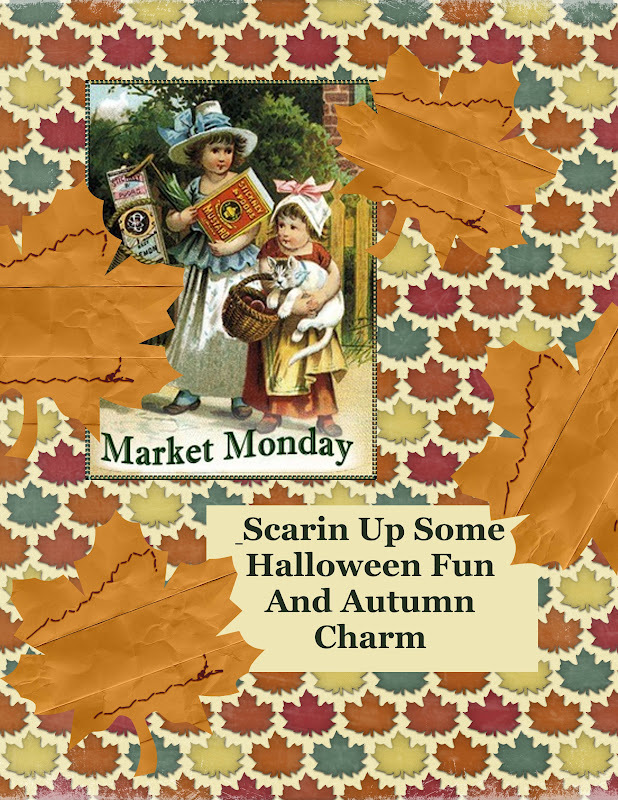 Browse out virtual flea market for all your Autumn decor and craft needs and best off October means Halloween items.....vintage Halloween maches'....cards........hand-crafted designs........and more. Visit all our vendors below and shop til you drop! 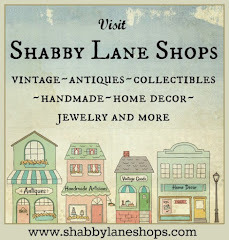 This is a week long flea market so stop by often items added daily. 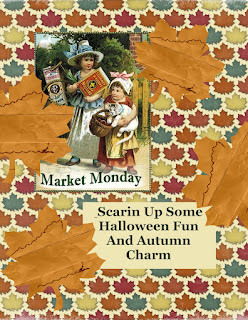 Remember, Market Monday is open to all sellers, whether you are a member of Etsy Cottage Style or not. If you would like to become a Member and join in swaps, chats, groups, etc. Check out the Home Page at http://www.etsycottagestyle.ning.com/ We'd love to see you there. Thank you Melody. Looking forward to some great shopping. Thank you, Melody! It's hard to believe it's the beginning of another month already. Happy fall! Come on in the Kitchen!